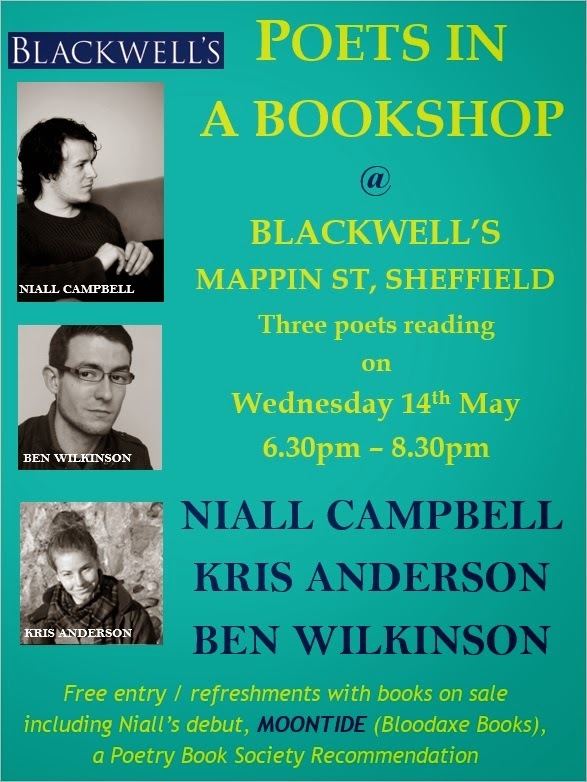 Niall Campbell is a Scottish poet originally from South Uist in the Western Isles. He received an Eric Gregory Award (2011) and a Robert Louis Stevenson Fellowship (2011). Niall also won the Poetry London Competition in 2013. His first pamphlet, After the Creel Fleet, was released in 2012 by Happenstance Press. Moontide, his first collection, is published by Bloodaxe and is a Poetry Book Society Recommendation. Kris Anderson is studying for a PhD in Creative Writing at Newcastle University and working on a collection of poems which explore her relationship to the landscape of home, the American West. Her poetry has been commended in the RSPB/Rialto Nature Writing Competition, shortlisted for the Cadaverine Award for Young Writers and published in POEM, The Ravenglass Poetry Press Anthology Volume 1 and Pushing Out the Boat. Ben Wilkinson was born in 1985 in Stafford, and now lives in Sheffield. 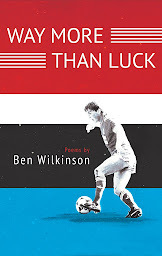 He recently won the Poetry Business Competition, judged by Carol Ann Duffy, and his second pamphlet of poems, For Real, is published this month. He’s been shortlisted for awards including the inaugural Picador Poetry Prize. Among other things he works as a critic, reviewing new poetry for The Guardian and The Times Literary Supplement. Proving once again that Sheffield is clearly de place to be. Shame I'm not there then! Hope it goes well. Might we be treated to some YouTubes?